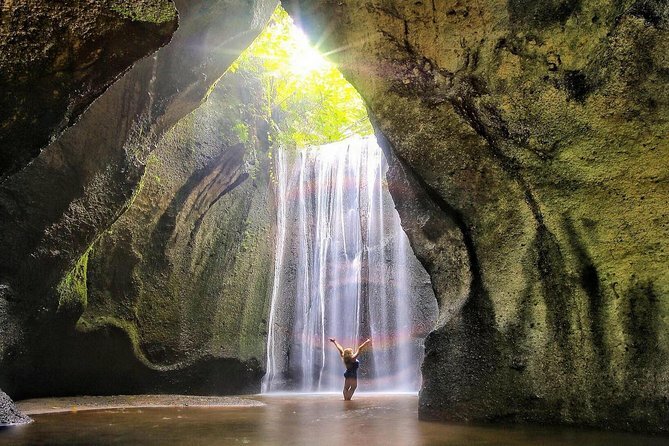 Start your adventurous trips in Bali to visit the best waterfalls. They are Tibumana waterfall, Tukad Cepung waterfall, and Tegenungan waterfall. These waterfalls will give you such an unforgettable experience in swimming and pictures. Hire Bali Driver will be the one operate this tour with the most reliable team. One of a hidden waterfall at the north east of ubud. You will need to walk down some stairs and pathway to discover this beautiful waterfall. Here you are able to swim in fresh water from the mountain. A very unique waterfall in the hidden valley of a thick jungle. walk down passing some stairs and jungle pathway. continue to walk along the river and in between the rocks until you find a real hidden waterfall just under the cave. This waterfall is the biggest one among the three waterfalls. It is the closest one with the center but still a very mesmerizing waterfall. Many spots for picture and good for swimming also. We expect more people in this waterfall. Our tour guide and driver was so caring, helpful and freindly. All three of the waterfalls are beautiful and definalty worth seeing. Walked up and down steep stairs are involded to get to the waterfalls so I would recommed wearing comfortable and good grip shoes. The beautiful views of the waterfalls are definalty worth the walking for. The guide was very helpfull and made sure we were okay throughout the trip. He gave us snacks and offered us water throughout the tour. Its was wonderful trip. Our tour guide was so friendly and even took for us pictures. They pick us up on time from the hotel and organised everything so well. Even they provide for us extra water and some snacks. Recording the waterfalls its really worth to go there and saw this 3 amazing waterfalls. We felt like we are in part of Avator movie. We just had wonderful day. We had a lovely experience during this tour. All three waterfalls were amazing and each had something unique in them. Our first waterfall was our favorite by far. Our driver, Sakha, was super nice and knowledgeable with great English! Thank you, Sakha! . We stopped for some local food for lunch as well. Definitely, will do it again next time we are in Bali. Loved this tour. A must do if you are in Bali. Agus our tour guide was excellent. Very friendly and a safe driver. Highly recommended.